Have your bananas gone brown? 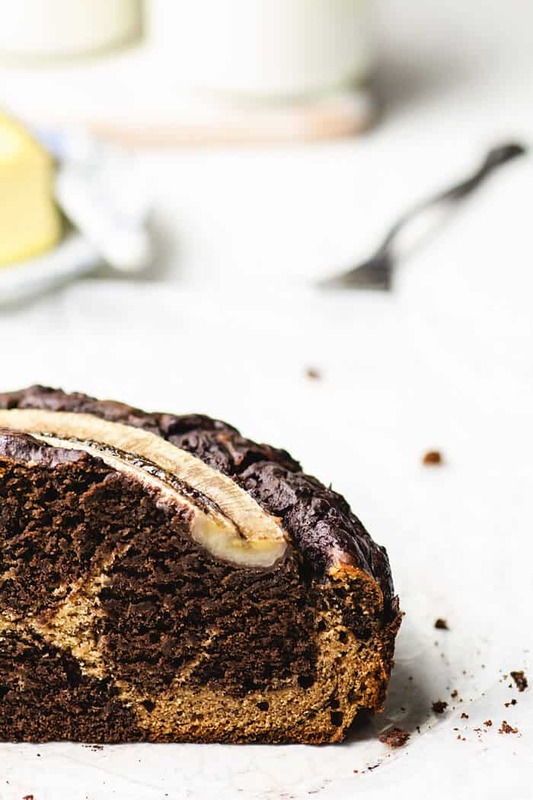 If you’re like me and hate mushy bananas as much as wasting food, then this chocolate banana bread with peanut butter swirl recipe is for you. It’s the most delicious solution for using up overripe bananas. I’m picky when it comes to eating my bananas – they have to be just right. Barely ripe so they don’t make my mouth dry, but one day too old and I can’t eat them. Anyone can relate? The hardest part of making this chocolate banana bread was waiting for my banana to ripen. WHY DO WE NEED RIPE BANANAS FOR BAKING? As bananas ripen, the starch in the flesh is converted into sugar. This continues until the starch that was providing the firmness and structure for the banana has, for the most part, been converted to sugar, which is also partly why the insides continue to get mushier as the banana ripens. So, more time converting starch to sugar means sweeter fruit. Although overripe banana may not look very appetizing, it is rich in antioxidants and has numerous benefits. HOW DO I KNOW WHEN BLACK BANANA IS TOO OLD? Open it up. If the insides turn too dark brown or black that indicates that the flesh has spoiled. However, some people deliberately wait for them to develop the banana liquor that gives such depth and richness to the baked goods. After they get freckled, they will turn black and get a little shriveled. Place them into the fridge and after a little time, they’ll start to ooze their liquor which means the sugars are almost fermented. You can even smell a note of alcohol. Use in a banana bread recipe. I have yet to try this method. HOW CAN I QUICKLY RIPEN BANANAS? Place bananas in a brown paper bag with an apple. Close loosely. They should be ripe in a couple of days. Bake unpeeled bananas on a foil-lined baking sheet in a 350 degrees F preheated oven for about 20 minutes, or until completely blackened. Cool before using. Microwave the peeled bananas about 30 seconds. You should hear them sizzling. I didn’t originally plan to bake banana bread, as I never let my bananas go even slightly brown. But, I bought too many dark chocolate bars by mistake. Technically, you can never have too much chocolate, but I wanted to use them up in a dessert. I could’ve made my Boozy German Coconut Banana Cake but I wanted something new. 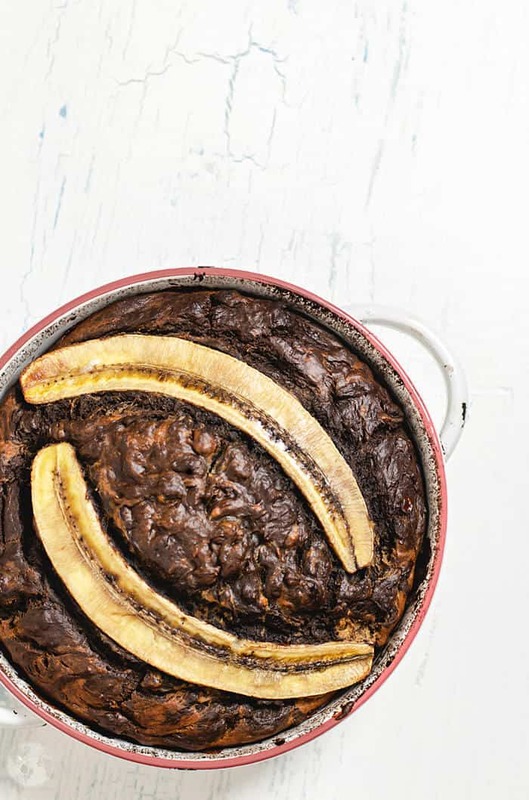 Searching for recipes, I found and adapted this beautiful chocolate banana bread recipe by Kasey of Well-Fed Soul. I used the ingredients I had on hand, so mine is not as healthy as hers, or as pretty. My marble is more like a swirl, lol. Also, I felt like there was too much batter for the size of my loaf pan so I used a round cake pan instead. 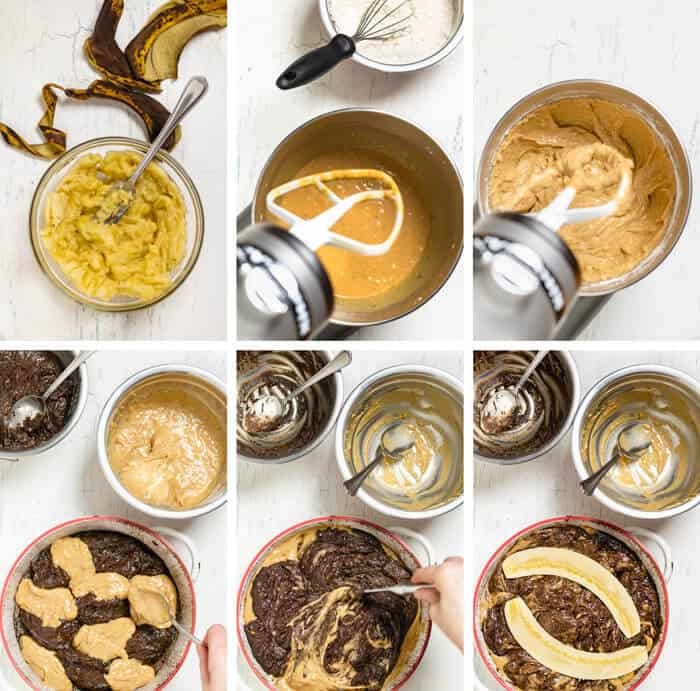 Although it might seem like too many steps, it is really easy to make the banana bread with chocolate and peanut butter swirls. Mash the ripe bananas in a small bowl. Beat the sugar with butter until smooth. Add eggs, peanut butter, milk, bananas, and vanilla. Whisk all the dry ingredients in another bowl. Add the wet ingredients and mix until combined. Pour half of the batter into another bowl. Add the melted chocolate and cocoa. Drop the batter by the spoonful into the cake pan, alternating between the chocolate and peanut butter batter. Bake for an hour on 350 F.
HOW TO STORE CHOCOLATE BANANA BREAD? Cover with plastic wrap and can keep the banana bread in the refrigerator for about a week. It will last about 2 days at normal room temperature and if frozen, it will maintain the best quality for about 2-3 months. · It’s best to use a good quality chocolate bar instead of chocolate chips. As mentioned in the post, I had dark chocolate on hand, but you can use semi-sweet as well. · For a loaf of healthier banana bread, use the whole wheat bread. I think it would be good with almond flour for a gluten-free version. · You can replace the butter with vegetable oil or coconut oil. · Using the banana on the top is optional. 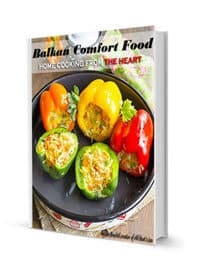 · You can add 1/2 cup chopped walnuts to the batter if you desire. 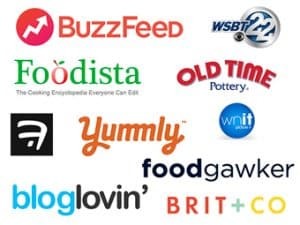 These are affiliate links for Amazon but you can find these products at a store too. But Amazon is just easier. You can order things in your PJs. Can’t beat that! If you like boring legal things, click here to read my full disclosure policy. An electric mixer is a staple of every kitchen and you certainly don’t need to buy one if you already have a mixer that works. I would recommend a standing mixer. It’s a time saver – you let it do its thing while you prep other ingredients. If you can afford this one, put it on your Christmas or Birthday wish list. That’s how I got mine, two people pitched in. I prefer glass mixing bowls, but they tend to be heavy. The plastic bowls are probably the easiest to use, however, they tend to retain the aroma and get scratches from the beaters, whisk, or fork. So, after some trial and error, I now only use plain, stainless steel mixing bowls with lids. The color coated bowls aren’t practical to wash in a dishwasher – the color will peel off. I suggest getting two (as in this option), because you never know when you will need it for a layered cake. Even though it is non-stick, I always line it with parchment paper, just in case. Nothing worse than your cake sticking to the bottom of a pan! 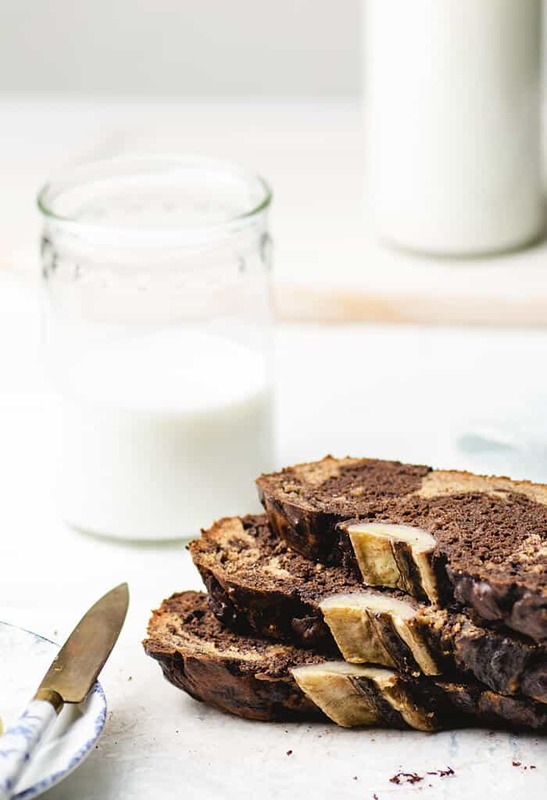 A must-try delicious recipe for banana bread with chocolate and peanut butter swirls that is perfect for using up overripe bananas. Preheat the oven to 350 degrees Fahrenheit. Line the bottom of a 9-inch round pan with parchment paper. Spray with non-stick cooking spray and dust with cocoa powder. In a large bowl, whisk together the flour, baking soda, baking powder, and salt. Set aside. Mash the bananas in a small bowl until smooth, using the back of a fork. With an electric mixer, beat together the sugar and melted butter until fluffy. Add eggs, one at a time and beat just until smooth. Mix in the peanut butter, milk, mashed bananas, and vanilla extract. Add the wet ingredients into the dry and mix until just incorporated. Pour the half of the batter into a separate bowl. Melt the chocolate in a microwave-safe bowl in 30-second increments until smooth (you can also do this in a small saucepan on the stovetop over low heat). Add the chocolate and cocoa powder to one half of the batter and mix until smooth. Alternating between the chocolate and peanut butter, drop the batter into the prepared cake pan with a spoon. Run a knife in 8-figure patterns through the batter to create swirls. Gently press banana halves into the top, if desired. Bake for 50-60 minutes or until a toothpick inserted in the middle comes out clean. Tent the bread with a foil during the last 15 minutes of baking if necessary to prevent from burning. Cool for 10 minutes then remove from the pan place on a cooling rack to cool completely before slicing. It's best to use a good quality chocolate bar instead of chocolate chips. As mentioned in the post, I had dark chocolate on hand, but you can use semi-sweet as well. For a loaf of healthier banana bread, use the whole wheat bread. I think it would be good with almond flour for a gluten-free version. You can replace the butter with vegetable oil or coconut oil. Using the banana on the top is optional. You can add 1/2 cup chopped walnuts to the batter if you desire. Jas, that’s a very yummy looking cake. I’m thinking Reese’s peanut butter cups with a banana. Yes, that used to be a favorite of mine. I’d take a bite of the Reese’s and a bite of banana. It was so good. Now, we’re a nut free house (allergies) so no peanut butter. Do you think it would make without the peanut butter? Any substitute ideas? Thanks for another lovely post. Thanks Jas, almonds are no go also so we’ll try with the white chocolate. Awe, that’s too bad! White chocolate should be good in this recipe. Follow the instructions for the chocolate batter, minus the cocoa powder. 🙂 Hope you like it! This bread is beautiful, and it uses some of my favorite ingredients–bananas, chocolate, and peanut butter! I like your suggestion to add walnuts. Thanks for sharing at Fiesta Friday! This looks utterly delicious, I’m going to give this a go but make it gluten free …I may even try to make it egg free so that I can eat it too! The bread looks so gorgeous! I love anything banana. 😀 Thanks for sharing at Fiesta Friday, Jas! It’s such a versatile fruit, isn’t it? Thanks for stopping in, Jhuls! Umm.. What is life?! This recipe I am fluent in, as chocolate, peanut butter, and bananas are all my love language! Thanks for sharing this! My family loves banana bread. I’ll have to try this! 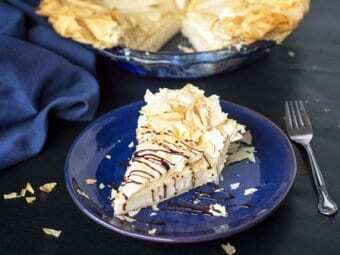 Thanks for sharing your recipe at the Merry Monday linky party! Who doesn’t, am I right? Thanks for popping in, Lauren! Yum this looks so tempting! That looks so yummy! Thanks for sharing!